Last November, ASQ, together with organizations, leaders, and stakeholders in the Global Quality Community, celebrated the inaugural World Quality Month. 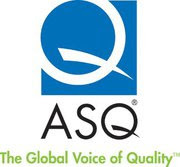 This year ASQ is again joining with the Global Quality Community for World Quality Month 2011. As businesses look ahead to 2012, it is clear that reinforcement of and commitment to quality will be of paramount importance to their health and growth. Further, industry-leading organizations are keenly focused on improving quality from within, with employee training and process improvement topping the list of areas in which they intend to invest time and money. The overriding global economic uncertainty has not diminished member organizations’ commitments to quality – in some ways, it has strengthened it. World Quality Month is an annual celebration of quality and its impact in the world. Through the joint efforts of ASQ, its many World Partner organizations, leaders and stakeholders in the Global Quality Community, the inaugural World Quality Month began in November 2010. World Quality Month was established both to reignite attention once generated in the 1980s by National Quality Month in the U.S. and to create a united, global forum for the organizations that have celebrated World Quality Days in November to come together and raise their voices for quality. November is designated as a worldwide celebration of quality – a time to showcase the advancements and valuable quality contributions in businesses, communities and institutions. So in November raise your voice for quality. Every day. Make a point of it. I bet you’ll enjoy it. And when December 1 rolls around, you don’t have to stop. Speaking up for the importance of quality is our daily responsibility. The biggest barrier quality faces is making people understand that excellence just doesn’t happen. Excellence isn’t good intent. 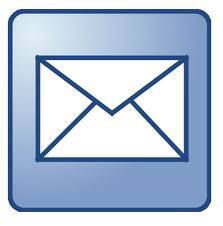 Through quality, excellence is available to everyone.